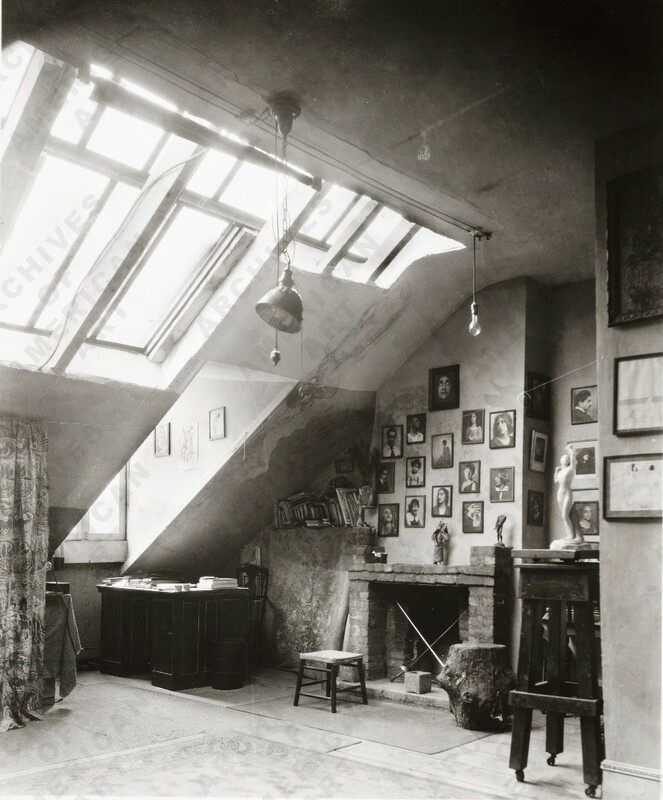 Greenwich Village in the 1920s was bohemian and artsy. But perhaps even Greenwich Village was not ready for Eve Adams. Eve was actually Eva Kotchever, a Jewish lesbian who came to New York from Poland and immediately migrated to the Village. In the lower level of 129 MacDougal, a two-and-a-half story Federal house, she opened a lesbian “tearoom” in 1925. Called “Eve’s Hangout” the small space offered weekly poetry readings, discussion groups – often concerning sexual topics – and musical presentations. A year after it opened, a female undercover police detective entered Eve’s Hangout. After she engaged Eve in conversation, the detective was shown the collection of short stories Eve was writing, "Lesbian Love." Eve Adams was arrested for “disorderly conduct” on the charge that she had made overt sexual advances to the police woman. "Lesbian Love" and a dozen other “objectionable” books were taken as evidence and labeled obscene. After a year in the workhouse, Eva Kotchever was deported. ﻿﻿The house in which Eva established her notorious tearoom was built between 1828 and 1829 as part of a row of four houses erected by Alonzo Alwyn Alvord, a hat merchant. 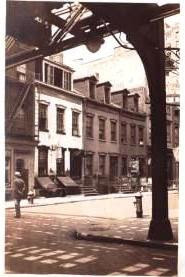 As the Washington Square area was being developed, Alwyn realized the potential of the MacDougal street property. When completed he leased the homes to merchant class families. The Federal-style houses featured Flemish bond brickwork, paneled window lintels, decorative iron fencing and stylish doorways with flanking fluted pillars. Iron pineapples topped the street-level newel posts, a sign of welcome. After the Civil War when the neighborhood became more commercial, No. 129 MacDougal became a boarding house. In 1918 famous portrait photographer Nickolas Muray established his studio here and beginning in 1920 it was owned by Harold G Calhoun, the former assistant to the U.S. Attorney General. Unfortunately Mr. Calhoun could not assist Eva Kotchever when the police took her away. In the mid-1930s the two pedimented dormers were joined, creating a roof “studio dormer” for Muray. Now on the fringe of the New York University campus, No. 129 MacDougal Street houses an Italian café. Where Eve Adams once held lesbian group discussions and Nickolas Muray shot portraits, students eat pizza. The historic flavor of its architecture, while adulterated, is still charming. Thank you so much for writing this. I have been trying to find out more about Eve. Thanks!